Whoa! : Is There A Problem Here? : Whoa! 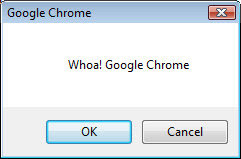 @machotrouts tweets: Even when Chrome goes wrong, I can always rely on it for helpful error messages.